The grizzly bear, also known as the brown bear, weight 300 to 1,500 pounds and stand up to 8 feet tall. Grizzly bears in the United States are an endangered species that are at risk of extinction. 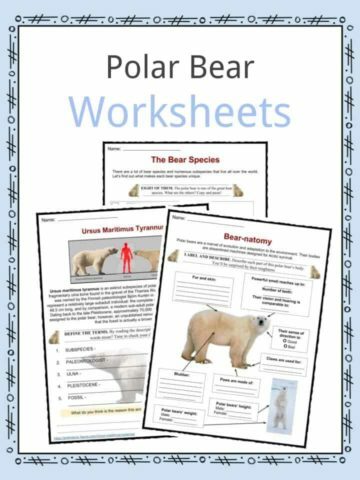 Keep reading for more bear facts or download the entire worksheet pack. 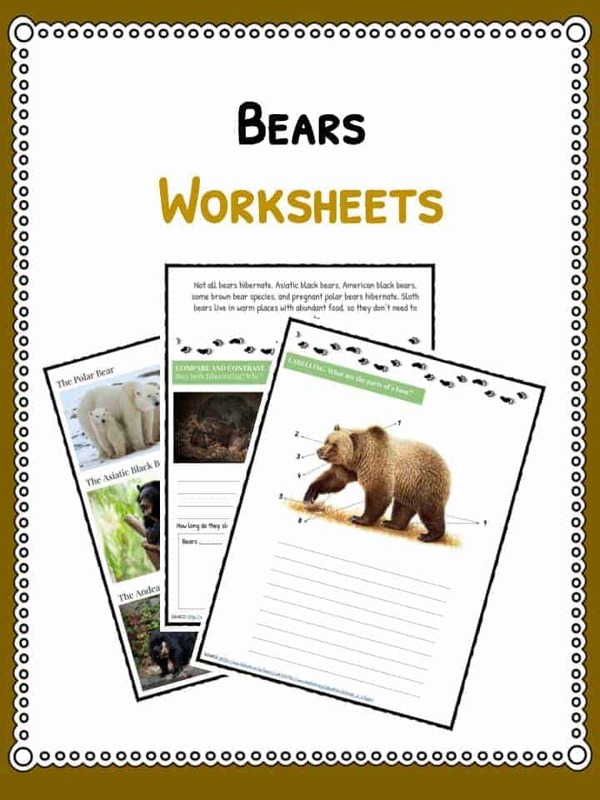 Grizzly bears are powerful animals that can be found in certain areas of Canada and the United States. Alaska, Idaho, Wyoming, Montana and Washington are the states that are home to the grizzly bear. The grizzly bear is also known as the brown bear. Most people think that grizzly bears are brown, but they can range in color from black, blonde, silver, and even white. The tip of the fur is sometimes a different color and that is what gives them a “grizzled” look. Grizzly bears are omnivores (they eat plants and animals) and find their food with their excellent sense of smell. They like to eat berries, rodents, roots, plant bulbs, cutworm moths, and whitebark pine nuts. They will also eat mountain sheep and goats, deer, moose, and elk. Sometimes grizzly bears will even eat black bears. The grizzly bear spends a lot of time searching for food and eating in the late summer and early fall. Grizzly bears that live in the United States are becoming a threatened species and need to be protected from extinction.